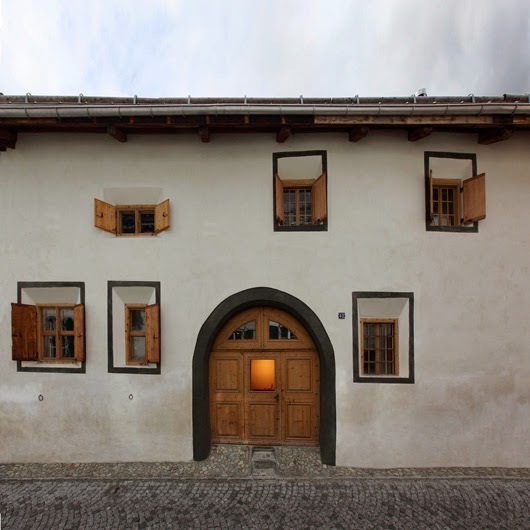 Chesa Sclarida is an old farmhouse in S-chanf, Switzerland, uniquely restored by St. Moritz based Ruch & Partners Architects. 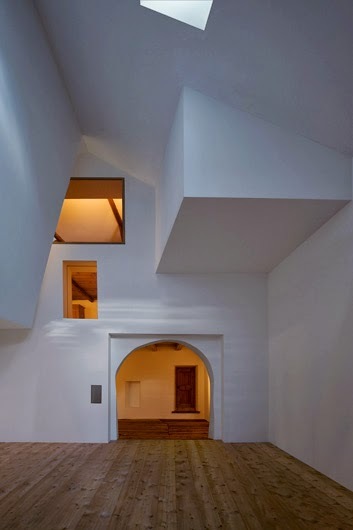 The architectural intervention aimed at clarity and simplicity of forms, tones and materials. 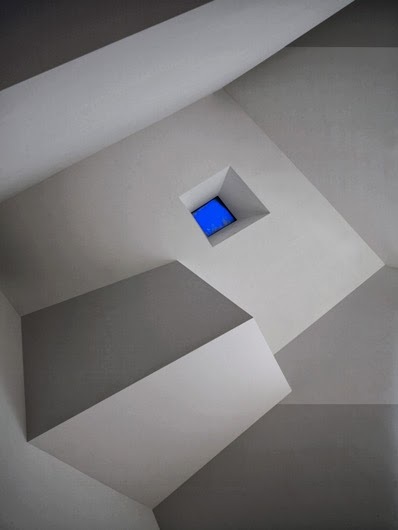 A new autonomous volume penetrates the roof as a skylight filling spaces with additional daylight. 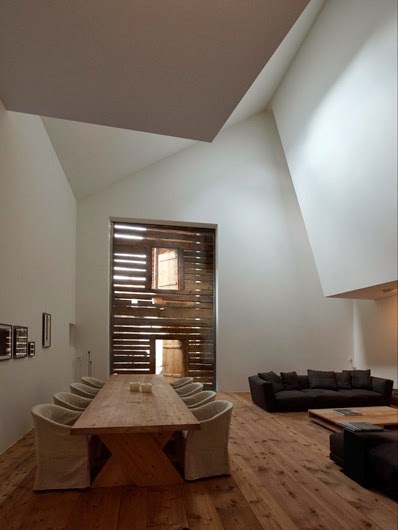 Rooms on this upper level are also shaped as sculptural cubes. 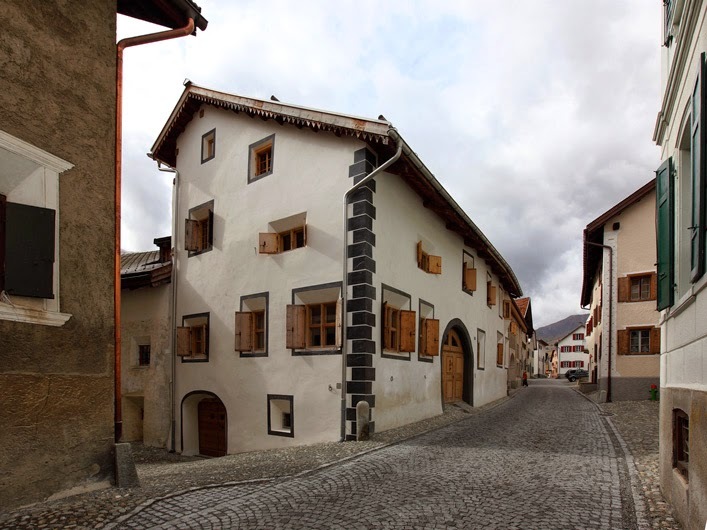 Chesa Sclarida is an old engadine farmhouse, which, according to dendrochronological investigations, most probably involves a towerlike medieval part facing the street westwards. 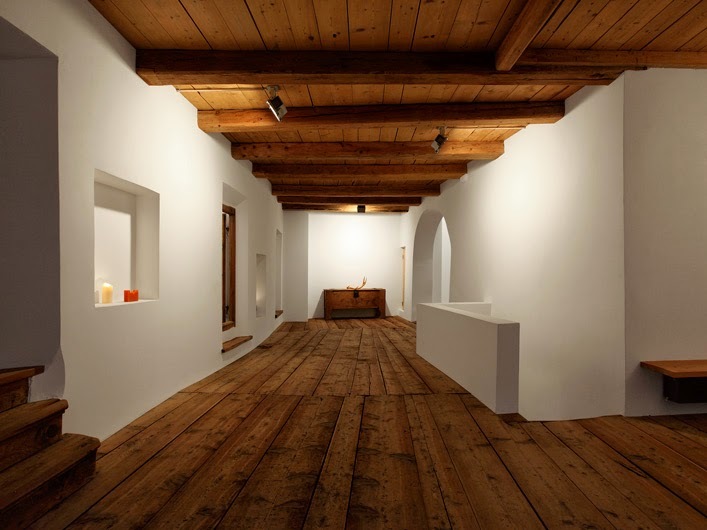 The house is oriented towards the main street and towards the eastern alley, as it has grown together with its southern and western neighbours. 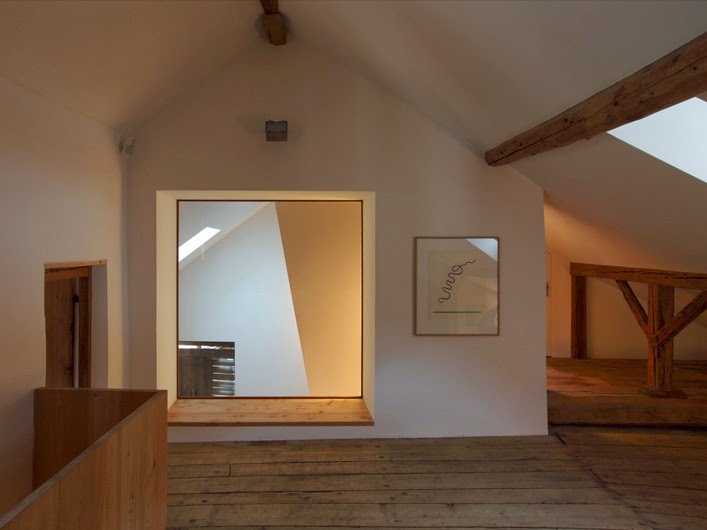 This disadvantageous situation, concerning exterior relation and daylight, called for a clearing architectural intervention, which took place in the large hayloft area. 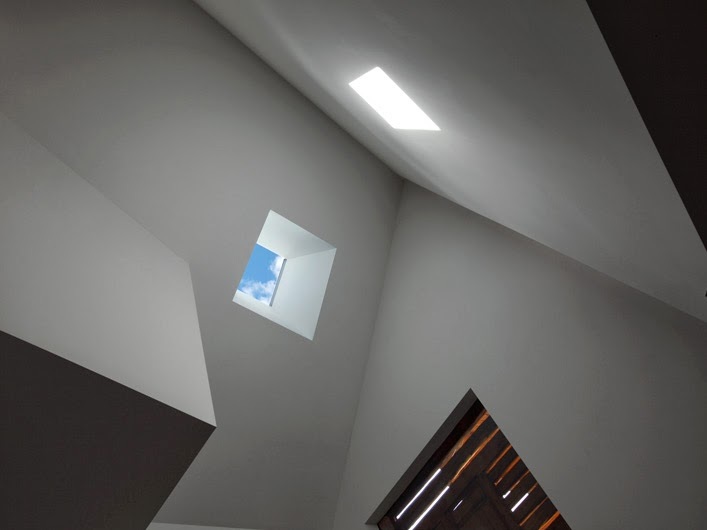 After liberating the area, we inserted a large autonomous volume, which penetrates the roof by a skylight and gets some additional daylight from a small alley in the west. The mighty space functions like a lung for the adjacent introverted rooms. 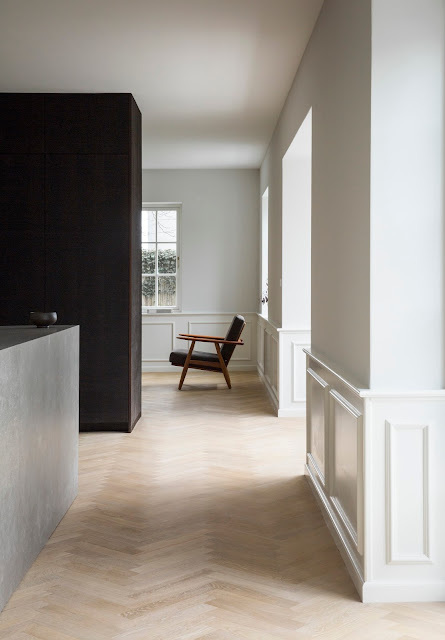 Two sculptural cubes of different sizes extend into this space. 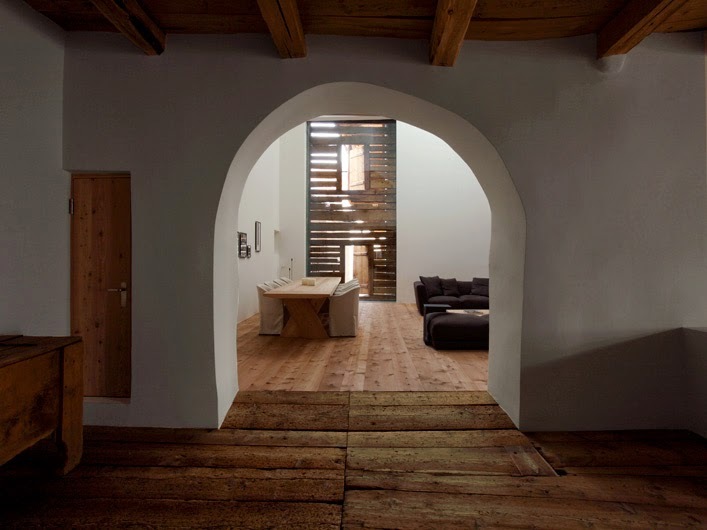 One volume contains two bathrooms on two levels, which serve the adjacent rooms. 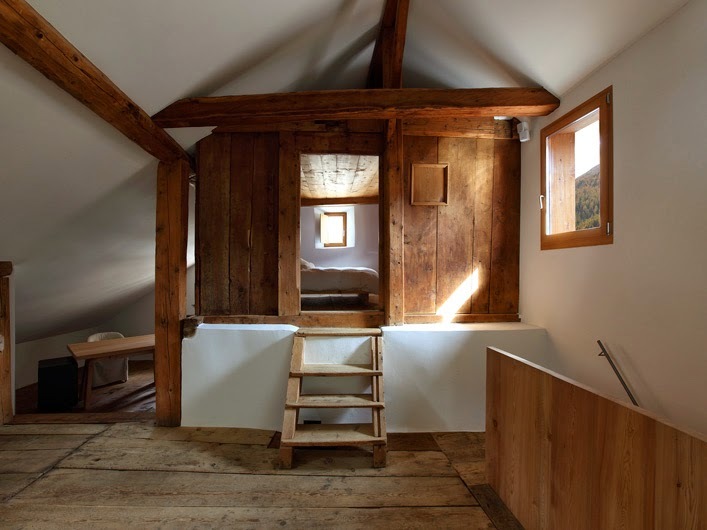 The other, smaller volume with it`s own little dormer window contains a reading room. 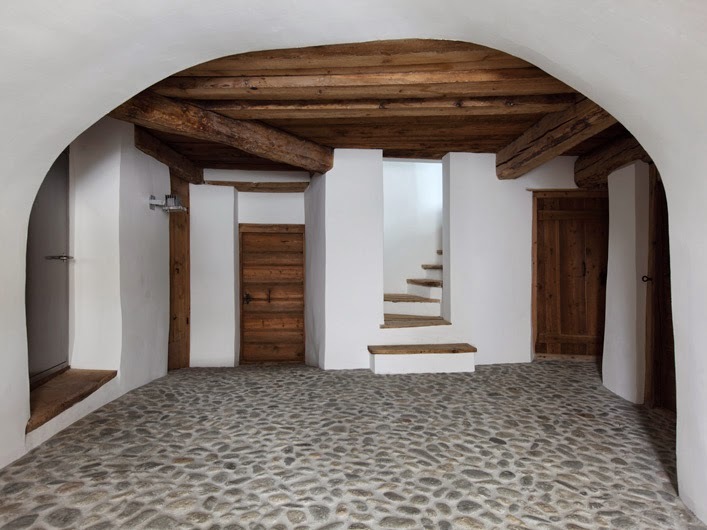 The historic parts of the building, such as the passageway through to the hay barn, the parlour, the kitchen and the pantry were carefully restored.